Want to switch it up? 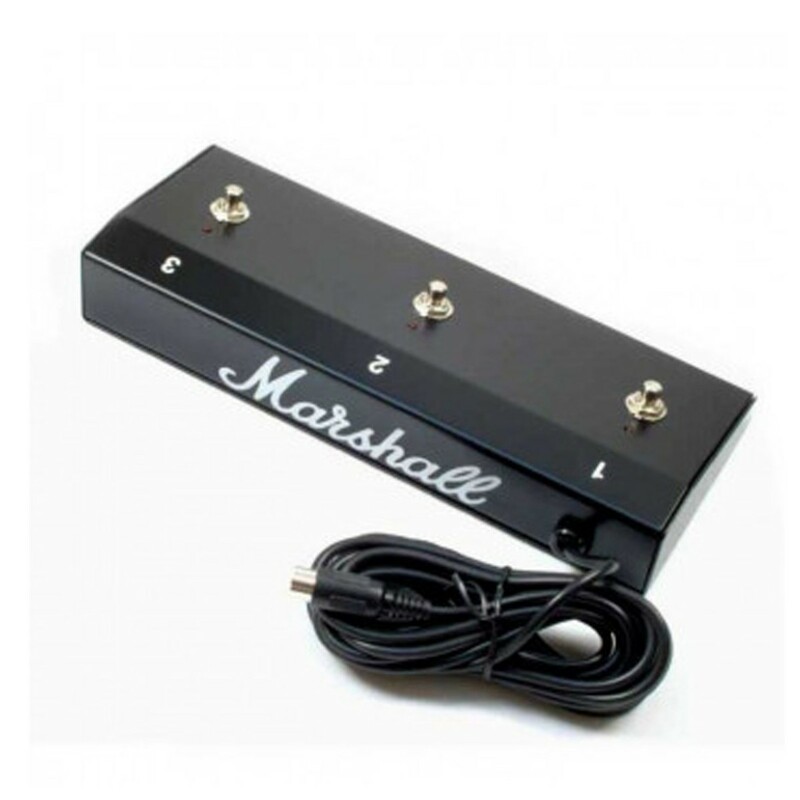 The Marshall MPM3E Anniversary Footswitch 3-Way is the perfect tool for opening up a wealth of new tonal possibilities. It offers the means to change your tone on the fly, so you'll soon be experimenting to find those golden amp settings. Perfect for live shows, this pedal allows you to expand the capabilities of your 6100/6101 so that you get the most out of its incredible range of sounds. Pedal to the metal. This flawless footswitch is incredibly easy to use, yet it'll be one of the most useful boxes on your pedalboard. It has three switches which each store an amp setting. Pressing on the switch will change the amp's sound to the setting you have saved on there. You won't have to fiddle around with the control dials again – you'll already have your favourite settings at your toe tips. It's incredibly useful live. If you've every felt yourself yearning for greater tonal variety in your songs, this is the solution. You can immediately change the dynamic of any given tune in an instant, giving you complete control over your music and tone. 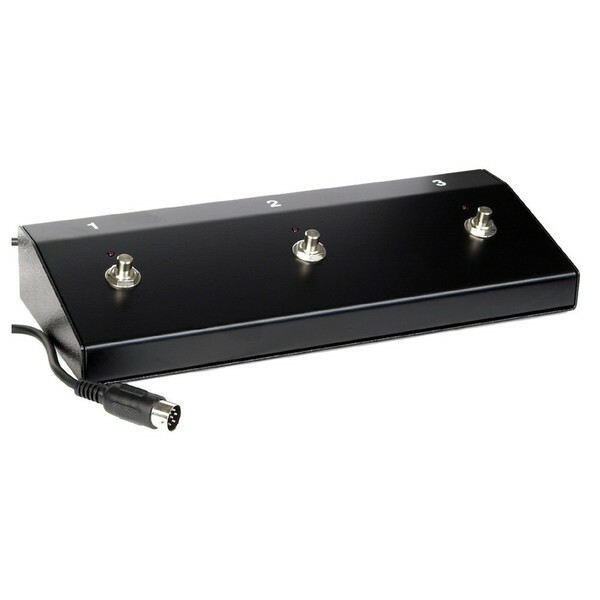 The sturdy steel construction of this footswitch makes it unbelievably strong, so you don't need to worry about wear and tear from continuous stomping. The 5m cable also allows plenty of flexibility, meaning you can place this pedal wherever you like on stage. If you’re serious about getting the most out of your amp, this switch is a must.